Is there a domain name or a whole list of names you want to own if they ever come available? Add the names to a personal domain name backorder list. We'll do all the work of monitoring your lists and alerting you when a domain you want is about to become available. You'll be among the first to know and at the front of the line to bid on it. Your best shot at a previously registered domain name. NameJet's Pre-Release names are already located at our partner registrars. You won't find them at auction on any other website. So if it's in Pre-Release and you're confirmed as the high bidder at the end of a domain name auction, you won the auction. No need to chance your luck in the drop. Should you be the only bidder for your name of interest, you get the name for just your minimum bid (starting bid amount varies) which includes a one-year registration. If there is more than one person who backordered a Pre-Release name, simply have the highest bid when it closes and the auction is yours. Unlike domain names you see listed at several auction sites, NameJet's Pre-Release names are available for Backorder exclusively on our site. 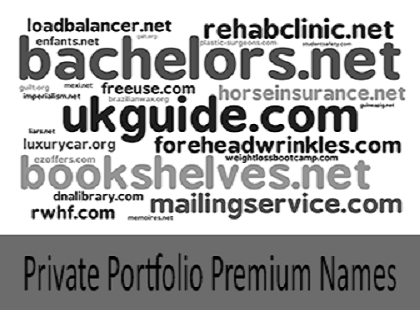 You'll only find these premium domain names for backorder from our partner registrars at NameJet. Make NameJet a daily destination to have a first opportunity at making them yours. 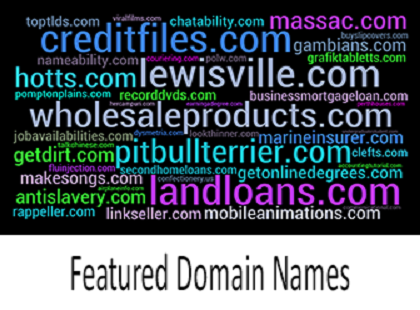 Find the cream of domain names at NameJet. 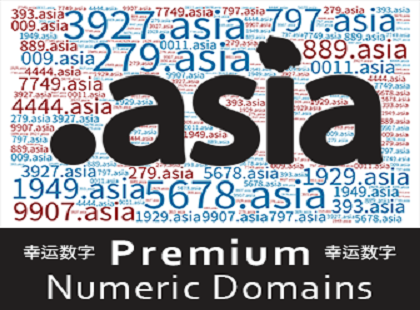 Our domain name inventory comes directly from several of the world's top and oldest domain registrars. That translates into the highest quality generic domain names. Using our advanced search function, you can quickly find the available domain names for backorder to meet your needs. Every day the domain registries release a list of names which they will delete within 5 days. (Also known as the "drop list".) NameJet's and Snap[NAMES] have combined our drop catching resources to provide unmatched success in grabbing these names on behalf of our customers. You pay nothing unless we secure the domain name for you. Every day NameJet makes available the official registry lists of Pending Delete domain names. You may download the entire list or use our advanced domaining tools to browse or search specific domains by keywords, number of characters, extensions and more. Save your search parameters and log-in any time to check your saved searches' matches. When the name you want becomes available and we 'catch' it during the drop, we will start a private domain name auction. If you were the only user to Backorder that name it is awarded to you for your minimum bid which includes the one-year domain registration fee. If more than one user has backordered the domain name, all interested parties are entered into a 3-day private auction. The high bidder wins the name. Have a wish list of domain names you want to own yet are registered and are not expiring in the next few days? There is no charge to add as many names as you wish to your NameJet Backorder list. We will monitor your list and notify you that you are in the auction should any of your backordered names appear on the Pre-Release or Pending Delete domain name lists. Just interested in a few keywords? Save your keyword searches and get notified without any commitment. If the names you really want are not yet about to expire you can still be sure to be in front of the line the day they do. Backorder any domain name you really want and we will act for you. You will receive automatic email notices when you are entered in the domain auction. All this without any upfront costs. Remember you pay nothing until you are awarded the name. Enter an email address with your saved searches and the system will generate an email message advising you that domain names matching the chosen keywords will become available on our site soon. You'll never have to worry about missing an opportunity again because the search runs nightly.